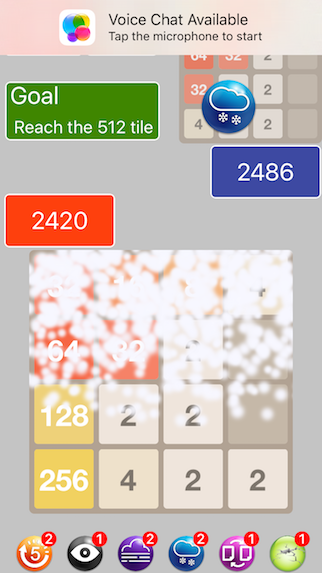 It’s the classic tile game, now with an addictive multiplayer twist. It’s survival of the fittest! Battle your friends in this chaotic multiplayer version of the original classic. It’s a sprint to the goal tile, but this isn’t your ordinary race. Is your opponent’s board looking pretty promising? 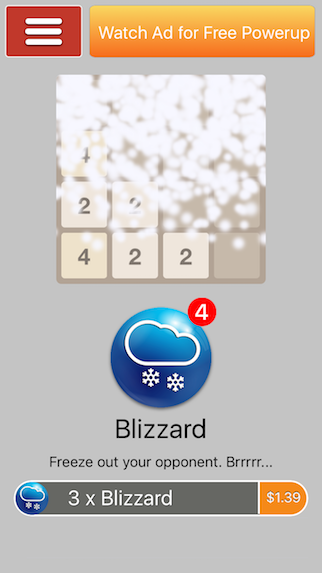 Call down a blizzard to block their view, send an earthquake to shake their tiles, or even sabotage their progress by taking control of their screen. But be careful. Once you start raining down your arsenal of powerups on your friend’s board, they’re bound to serve up a counterattack. 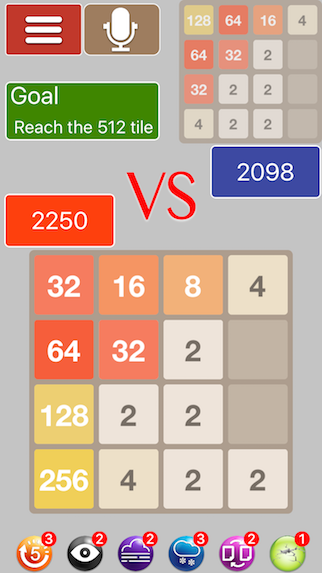 With seven different powerups to keep you on your toes, it’s safe to say that you’ve never played 2048 like this! 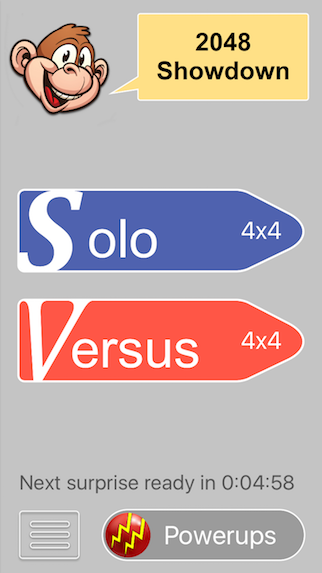 2048 Showdown offers a Versus mode to play your friends as well as a classic Solo mode. It is made for the iPhone, iPad and iPod touch and is optimized for iOS 9. 2048 Showdown is now available in the App Store.